This 2016 Acura TLX is in great mechanical and physical condition. This TLX has 15356 miles, and it has plenty more to go with you behind the wheel.Additionally, you'll be more than pleased with extras like these: This TLX is as reliable as they come, and the CarFax and AutoCheck Vehicle History Report states: -- just to provide you with helpful details on this quality vehicle. Experience it for yourself now. With more vehicles and deals than you know what to do with, you’ll love the options we have for you. Designed to deliver superior performance and driving enjoyment, this 2016 Acura TLX is ready for you to drive home. This TLX has traveled 15708 miles, and is ready for you to drive it for many more.It's full of phenomenal features, such as: The CarFax and AutoCheck Vehicle History Report specifies: -- just to name a few highlights. Ready for immediate delivery. We try to make the purchase process as easy and as hassle-free as possible. You'll feel like a new person once you get behind the wheel of this 2017 Acura RDX. This RDX has been driven with care for 30799 miles.It features an excellent mix of comfort and handling plus: It comes with a free CarFax and AutoCheck Vehicle History Report, so you feel confident about the car you'll be taking home. Here are the details of the report: -- just to provide you with helpful details on this quality vehicle. Ready to hop into a stylish and long-lasting ride? It won’t last long, so hurry in! We're overstocked and ready to make deals with all of our customers. Every time you get behind the wheel of this Certified 2019 Acura TLX, you'll be so happy you took it home from Smithtown Acura. Curious about how far this TLX has been driven? The odometer reads 5165 miles.It was cleverly designed with details that make every drive a delight, such as: This vehicle's CarFax and AutoCheck Vehicle History Report confirms: -- just to name a few highlights. The open road is calling! Drive it home today. We work our hardest to give you an outstanding experience and ensure you're always completely satisfied with every aspect of our services. You'll always have an enjoyable ride whether you're zipping around town or cruising on the highway in this Certified 2019 Acura TLX. This TLX has 4125 miles.It's full of phenomenal features, such as: It comes with a free CarFax and AutoCheck Vehicle History Report, so you feel confident about the car you'll be taking home. Here are the details of the report: -- only a few examples why you'll feel safe with your family inside it. Experience it for yourself now. Your happiness is our No. 1 priority. Why choose between style and efficiency when you can have it all in this Certified 2019 Acura TLX? This TLX has 4696 miles.It features an excellent mix of comfort and handling plus: It comes with a complete CarFax and AutoCheck Vehicle History Report, showing you its exact ownership history: -- only a few examples why you'll feel safe with your family inside it. Adventure is calling! Drive it home today. 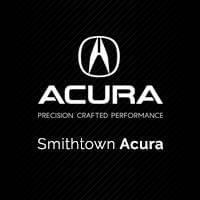 We thank you for choosing Smithtown Acura. We are overstocked and making deals on models such as this Certified 2019 Acura RDX. This RDX offers you 4933 miles, and will be sure to give you many more.You'll appreciate the high efficiency at a low price as well as the: dual-panel moonroof,heated seats,power seats,rear view camera,navigation,power windows,power locks,blue tooth,mp3 audio input,leather seats and all wheel drive Knowing a vehicle is safe is critical information, which is why we're letting you know the details of its CarFax and AutoCheck Vehicle History Report: Accident free A CARFAX 1-Owner vehicle No Airbag Deployment Reported to CARFAX -- only just a glimpse of how much quality is retained in this vehicle. The open road is calling! Drive it home today. Your happiness is our No. 1 priority. You'll feel like a new person once you get behind the wheel of this Certified 2019 Acura RDX. This RDX offers you 4927 miles, and will be sure to give you many more.You'll enjoy first-class features such as: dual-panel moonroof,heated seats,power seats,rear view camera,navigation,power windows,power locks,blue tooth,mp3 audio input,leather seats and all wheel drive Knowing a vehicle is safe is critical information, which is why we're letting you know the details of its CarFax and AutoCheck Vehicle History Report: Accident free A CARFAX 1-Owner vehicle No Airbag Deployment Reported to CARFAX -- just to name a few highlights. The open road is calling! Drive it home today. From the moment you walk into our showroom, you'll know our commitment to customer service is second to none. You'll start looking for excuses to drive once you get behind the wheel of this Certified 2019 Acura RDX! This RDX has traveled 4353 miles, and is ready for you to drive it for many more.It's designed to adapt to meet your daily demands with its: The CarFax and AutoCheck Vehicle History Report specifies: -- just some of the reasons why this vehicle won’t last long. Stop by the showroom for a test drive; your dream car is waiting! We're overstocked and ready to make deals with all of our customers.